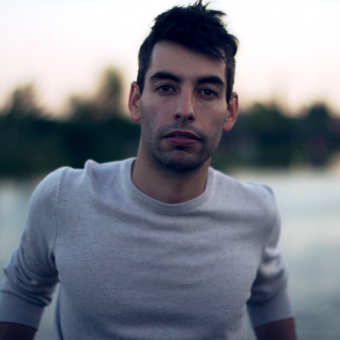 Leif Vollebekk spent two years searching for perfect takes. He quit snowy Montreal and went out into the world: following highways and trade winds from a Woodstock farmhouse to a Paris mansion to a shiny Manhattan studio. “I wrote the songs, I found the best band in the world, and then all I had to do was find the right studio, for the right take,” he says. “And it took forever.” North Americana is the sophomore album of a young man with careful, dusty, gold-edged songs. Born in Ottawa, Vollebekk took the path of countrymen like Neil Young and the Band – he drew a deep breath of Canadian air and then hit the road. These tracks carry the listener from moonlit Memphis to lonesome Cairo, Illinois, but Vollebekk’s Americana is broader than borders: for every line about Southern skies or New York springtimes, there’s another about Reykjavik heartbreak and Toronto’s winters. The singer’s acclaimed debut, Inland, was released in 2010. “Beautiful, memorable and moving,” said NPR. London’s The Independent called it “timeless and monumental.” Vollebekk knew the kind of album he wanted to make next: a record like the ones he loves by Gillian Welch or Ryan Adams, that feel old even when they’re new, honest and unvarnished, packed full of perfect tiny mistakes. He wrote ten new songs, the best he had ever written, and he assembled his band: Vollebekk, singing, playing guitar and piano, harmonica, a little rusty fiddle; the jazz musicians Hans Bernhard (bass) and Philippe Melanson (drums); Arcade Fire’s Sarah Neufeld on violin, arranging her own parts; Joe Grass on pedal steel; and Adam Kinner on tenor sax. Then the hard part started: the search for perfect takes, session by session, song by song, over seasons. The heart of each cut was always recorded live, to tape. Old school and spontaneous, one real captured moment. To find these moments, they travelled. To Montreal’s legendary Hotel 2 Tango studio, working with Howard Bilerman (Arcade Fire, Godspeed You! Black Emperor). To New York City, working with Tom Gloady (Ryan Adams, Sigur Rós, Patti Smith). To La Frette studios, in la Frette-sur-Seine, France. And then back to Montreal, for one song at Breakglass studios. Vollebekk even tried recording with John Simon, the producer whose credits include Music from Big Pink and Songs of Leonard Cohen. At his home in upstate New York, Simon listened to “Cairo Blues,” then travelled up to Montreal to record it. “There was just not a good take,” Vollebekk says. “I ended up doing it a few months later, again at the Hotel, between takes of something else – and that’s just how it went.” North Americana took years. “All this time,” Vollebekk says, “trying to get one take.” But the result is a beautiful, alive, human – shambling ballads, noisy folk songs, vivid portraits of a 28-year-old’s watercolour life. After its release in Canada, Vollebekk released a covers EP: ramshackle takes on Bob Dylan, the Beach Boys, even an extraordinary reinterpretation of the Killers’ “Read My Mind”. He shared stages with artists including Daniel Lanois, Beth Orton, Patrick Watson, Suzanne Vega and Angus & Julia Stone. @somevelvetblog @UnionTransfer Such a pleasure as always!